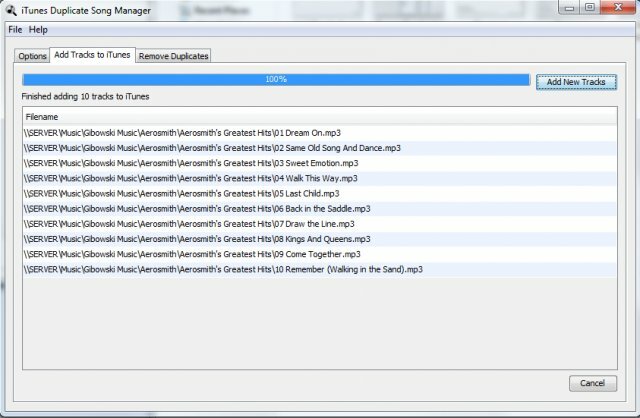 iTunes Duplicate Song Manager (iTunesDSM) is a program written in Java to remove duplicated files created by iTunes. It is an easy to use free application. 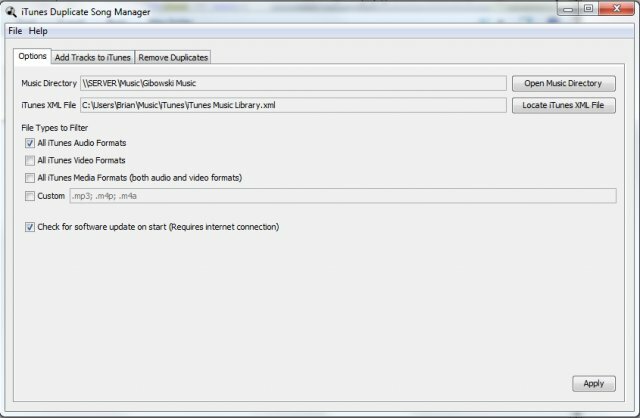 iTunesDSM also removes orphaned tracks from the iTunes library, as well as, adds tracks to iTunes safely. Remove files that have been duplicated by iTunes. Backup up files before they are removed from the iTunes Music Folder. Customize extensions to filter with. Written in Java so it works on Windows and Mac OS X. Add tracks to iTunes that are in a folder but not in the library. For example, a family shares a folder that has music and one user has bought a new song, but other iTunes libraries don’t have that song in the library, i.e. Folder Watching.